Guest Blogger Chuck Alpert talks about mastering the other matrix, and why all the confusion with Neo. While living in Los Angeles in the early 1990s, I noticed the fairly common practice of strangers approaching other strangers and informing them that, “You look like (insert celebrity name here).” I’m not sure why people did this. Maybe everyone in L.A. is looking for a brush with fame, however minor. As far as I can tell, there were few links to celebs in my graduate computer science program at UCLA. 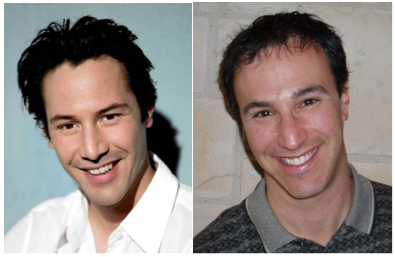 Still, walking around Westwood I heard more than once that I looked like Keanu Reeves. It was many years later when Reeves (or more accurately, Neo) mastered the Matrix. Is it a coincidence that now it’s my job as DAC 52 vice chair to tame the complexity of the conference matrix, the schedule that drives the entire conference program that attendees use as a guide? Neo of course had three movies over the course of four years to get the job done. We’re trying to whip this into shape in under a year, and without the benefit of any red pills. As always DAC will run Monday through Thursday. There will be daily one-hour keynotes at 9 a.m. We’re scrapping afternoon keynotes on Monday and lunchtime keynotes on Thursday. Exhibits will now open at 10 a.m. after the morning Keynotes and close at 7 p.m.
90-minute technical sessions will begin daily at 10:30 a.m., 1:30 p.m. and 4:30 p.m. Among other benefits, this gives us a nice 90-minute gap in the afternoon between 3:00-4:30 p.m. to visit the exhibit floor. SKY talks will take place on the exhibit floor (Monday-Wednesday) and upstairs (Thursday) at 1 p.m. and 3:30 p.m. These talks have amazing speakers and fascinating content, yet it was difficult to draw people upstairs, where they have been held in previous years. The new venue on the exhibit floor should help fill the seats, and everyone registered for DAC will now be able to attend. Parallel content will be reduced. In 2014, with our new initiatives in automotive and security, DAC had as many as 10 parallel tracks. This drove too many attendees away from the exhibitions and left too many terrific sessions sparsely attended. 2015 will have no more than seven parallel tracks. How did we do this? Keep reading. Special sessions and panels are being merged into a single track. In the EDA and ESS space, there will be a total of 9 sessions devoted to this type of invited content, down from 18. The reduction will allow DAC to focus on the truly exceptional content likely to draw strong attendance. The designer track will have two parallel tracks from Monday through Wednesday, same as last year. However, the success of the designer track drew attendees away from research sessions. So to reduce overlap, more research papers will be presented on Thursday. Historically, research content was distributed evenly across Tuesday, Wednesday, and Thursday. But in 2015, half of the research content will be presented on Thursday, a day with no designer track conflict. We are no longer devoting specific days to specific types of content. IP content will be presented on Monday and Tuesday, and both Automotive and Security will have tracks on Tuesday, Wednesday and Thursday. We also will have IoT content sprinkled throughout the program. The upshot is that attendees interested in specific categories of content tracks will no longer have their attention spread too thin. There is much more about the improved DAC matrix that we will share as we put the program together. For now, know that we are not wedded to the past. The executive committee seeks to constantly improve DAC by keeping what works and changing what doesn’t. I’ve done as much myself as I’ve harkened back to my time in L.A. When the Reeves/Neo comparison has come up through the years — which, okay, it doesn’t very often anymore — I’ve always laughed along. However illusory, that link to the Matrix star isn’t so bad, especially given the trilogy’s near universal appeal in the world of tech. What I rarely mention is that back in grad school I also was frequently compared to Jason Gould, Barbara Streisand’s son. Not that I have anything against Gould or Streisand, but I’d take Neo & Co. over “How Deep is the Ocean” any day.